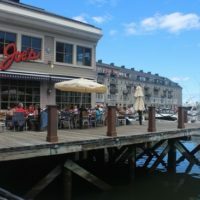 Join Women in Healthcare Management as we visit a beautiful new summer networking location on Boston’s waterfront. Included are passed and station hors d’oeuvres. Munch on delicious items like lobster sliders and chicken satay as you enjoy summer in Boston; all while making new connections and seeing old friends. We will also feature a mini dessert station with coffee. Cash bar. Hope to see you there!